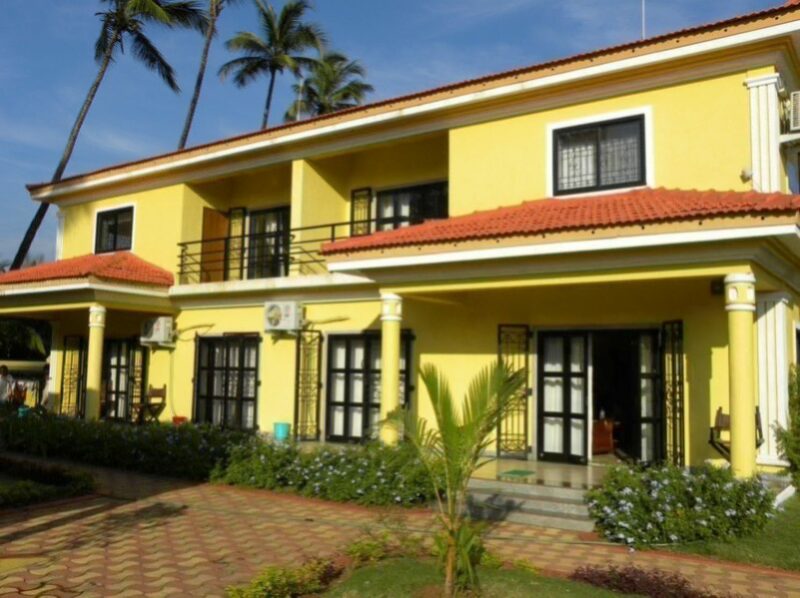 Goa Casitas offers serviced apartments for rent at Apparantas in North Goa. 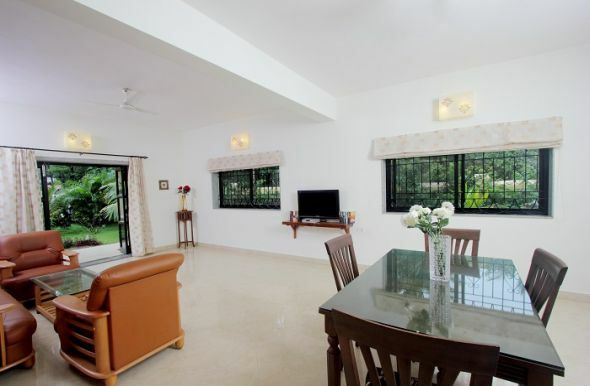 Apparantas at Vagator is the flagship property of Goa Casitas. 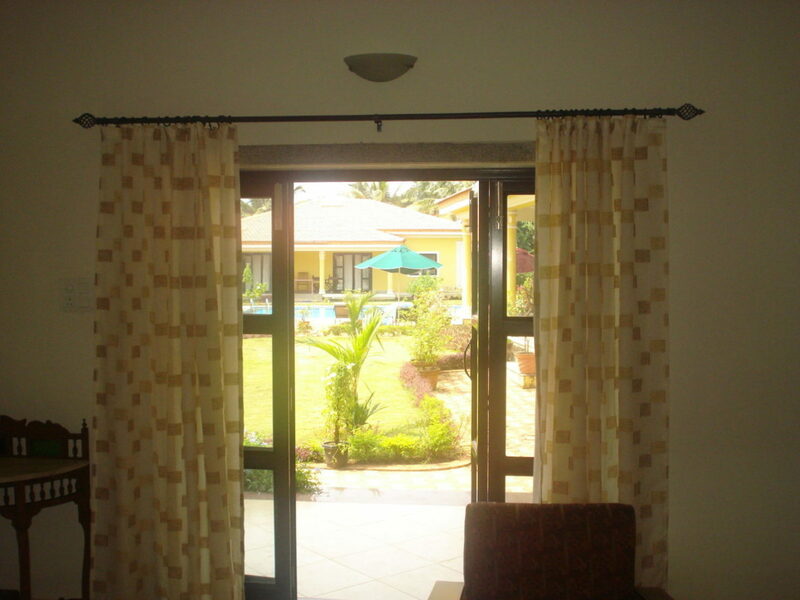 Here we offer six separate serviced apartments for rent. In addition we also offer two spacious serviced studio apartment for holiday rentals at this property. 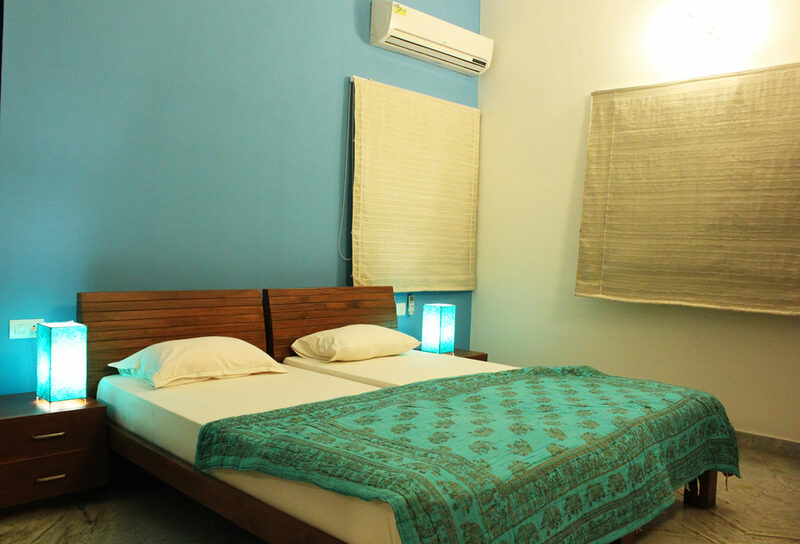 Elegantly furnished serviced apartments and studio apartments with a private entrance. While each of the serviced apartments has a dedicated washing machine, both the studio apartments have access to an express laundry service. 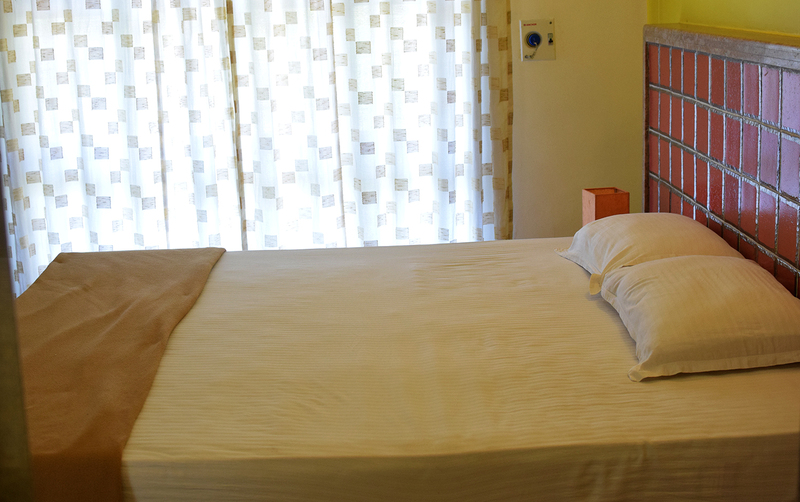 Baby cots can be provided on request at the property. A private electronic safe is provided within the apartment and the studio for your valuables. 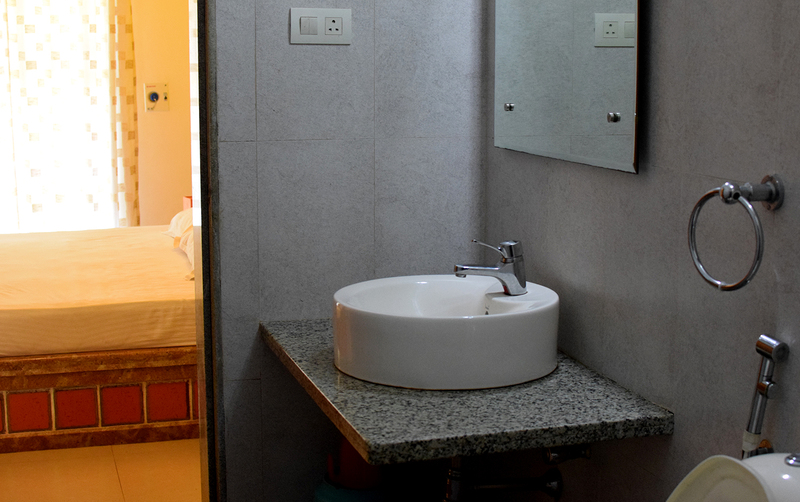 Fully furnished kitchen with fridge, microwave, gas stove, toaster, electric kettle, cutlery/crockery, pots, and pans is available in all the six apartments. Both the studios however have a microwave and a refrigerator. Besides this, the Apparantas complex also has an in-house kitchen ‘The Goan Kitchen’ that can provide you with hot and fresh meals. This kitchen is open from breakfast to dinner. 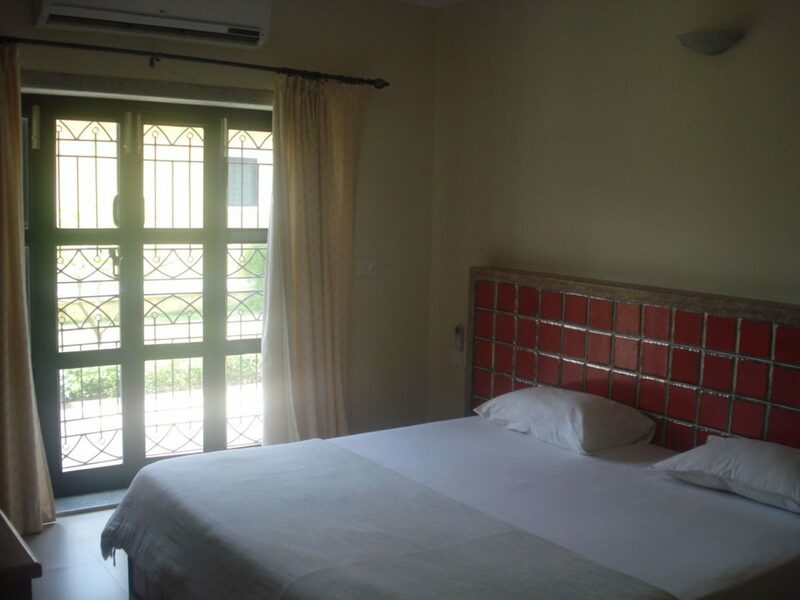 The apartment complex is within close proximity of the Saturday Night Market and a Go-Karting track at North Goa, besides Ozran Beach, famous nightlife destinations Hilltop (for electronic music festivals) and Thalassa Greek Restaurant. 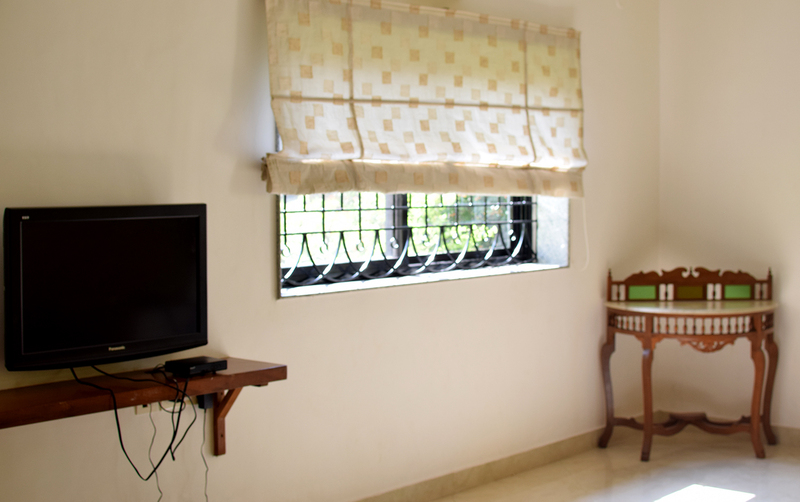 Goa Casitas offers studio apartments for rent at Vagator at best prices. 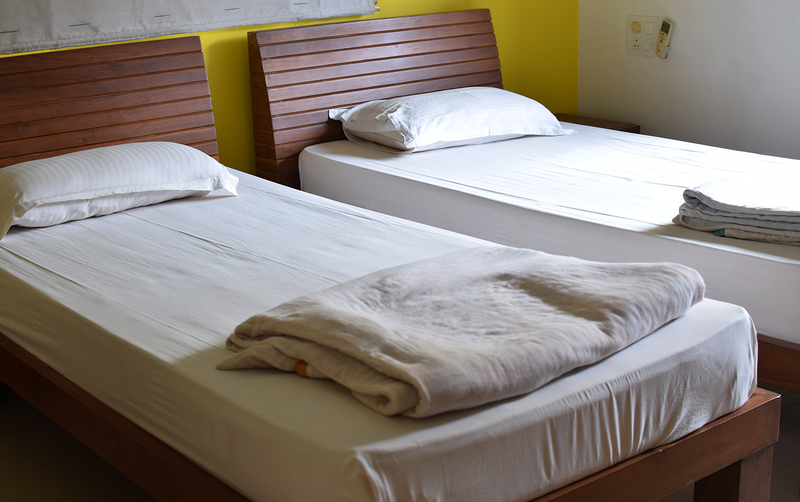 These two units are housed in the flag ship property of Goa Casitas called “Apparantas”. 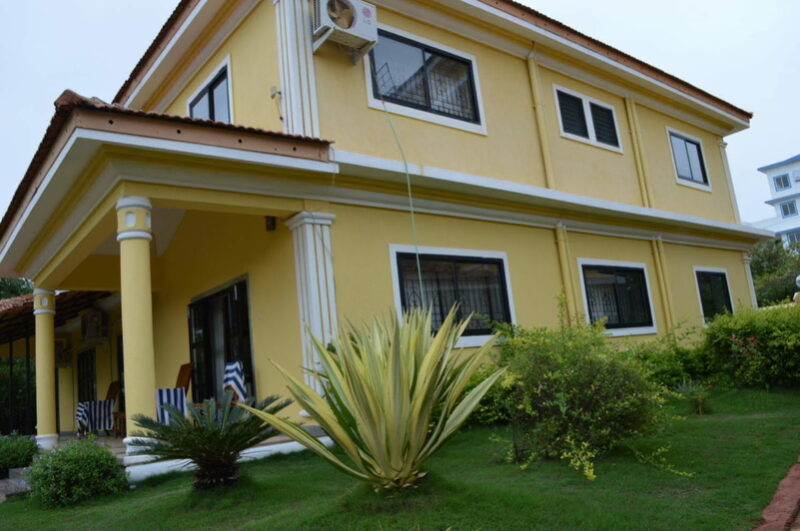 The property is within walking distance of the Orzan beach. Grocery shops and supermarkets are just a stones throw away. Apparantas also has a master kitchen on the premises. This kitchen is open for breakfast, lunch and dinner. The cook here can also provide customized recipes as per the guests wish list. 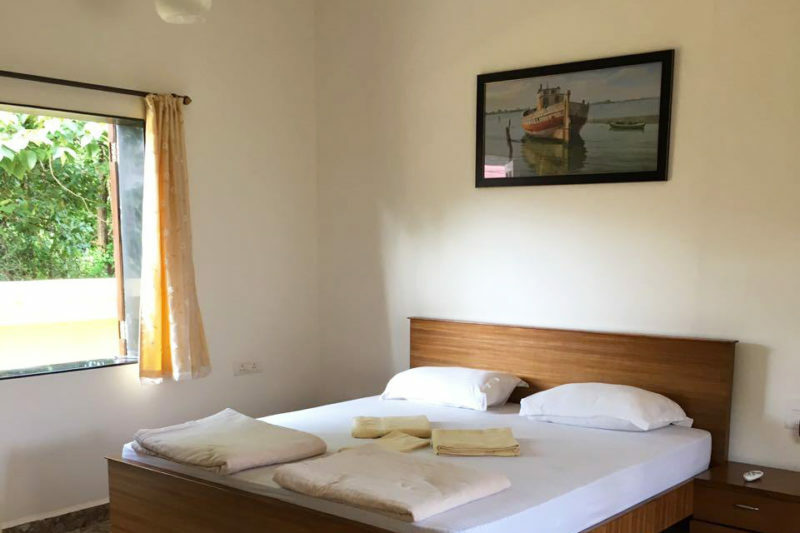 The King serviced apartment for rent at Vagator are located within Apparantas which is the flag ship property of Goa Casitas. 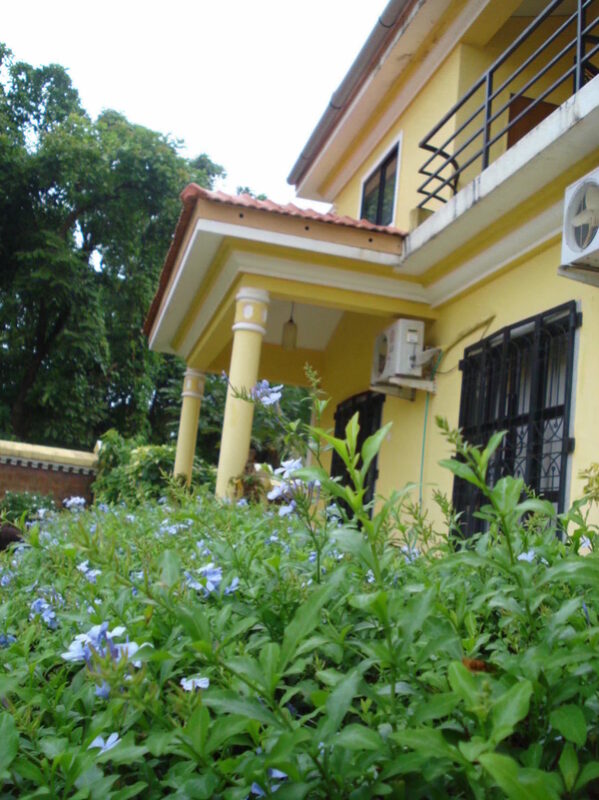 Here we offer two adjacent units 2 BR apartment units at the ground level. These are called the King Apartments. Each King apartment has its own private entrance and a kitchen as well. 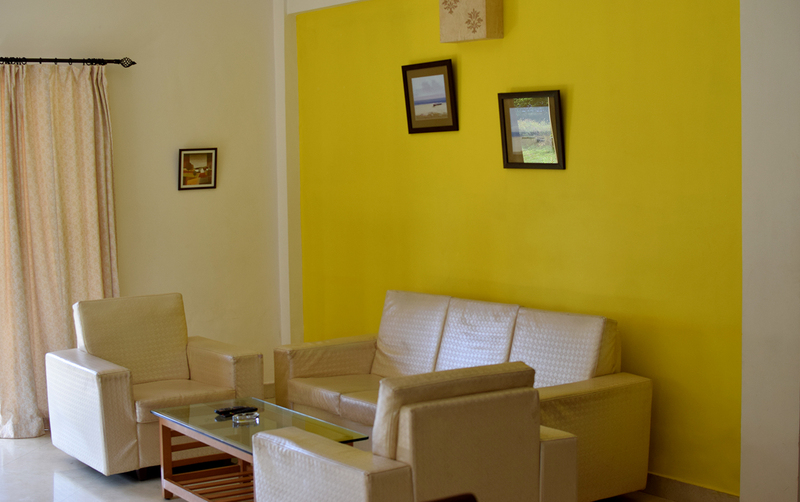 Besides air conditioning in the bedrooms, complementary wifi and parking is also offered. Above all these apartments also offer a private sit out facing the pool and the garden areas. Thus the King apartments are as good as staying in a 2 BR villa. 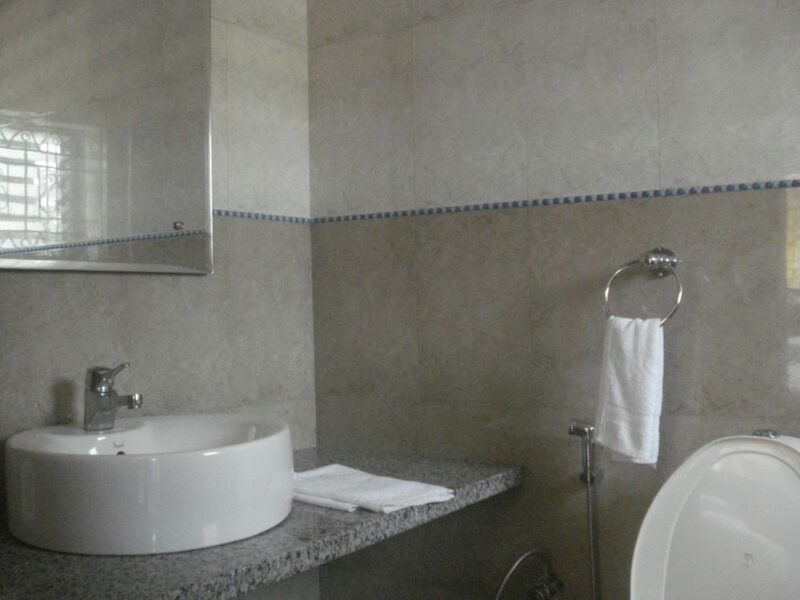 The Queen apartments are two adjacent two-bedroom apartments at the first level. These too come with a private entrance and a kitchen. In addition to this there is a spacious living and dining area. Above all these apartments offer a garden facing private balcony. 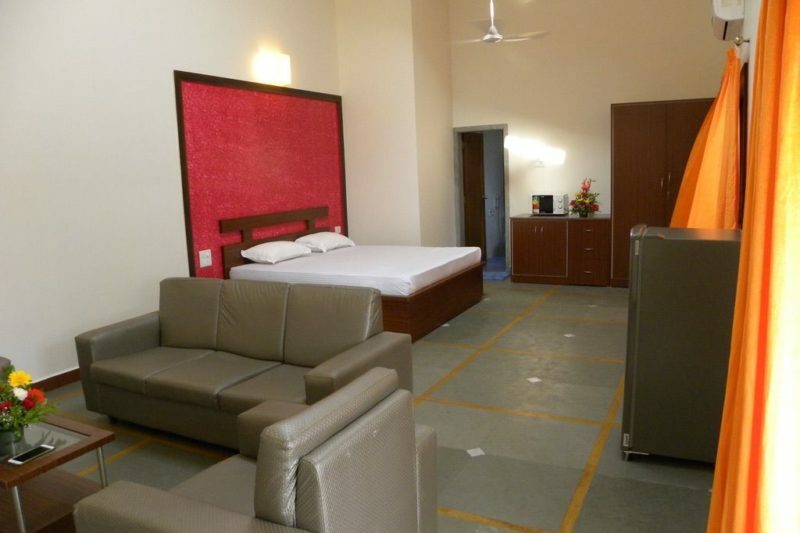 All these four apartments are well furnished with air conditioned bed rooms. 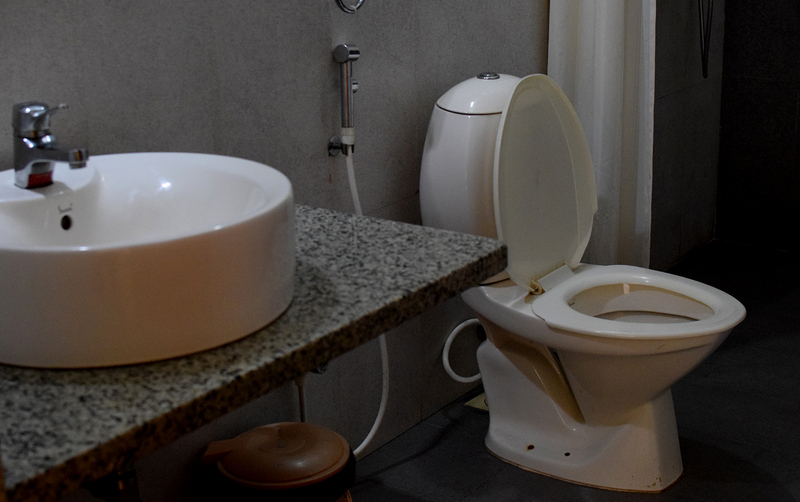 Both the rooms of each apartment have attached washrooms. Complementary Wifi and free parking space is available within the complex. 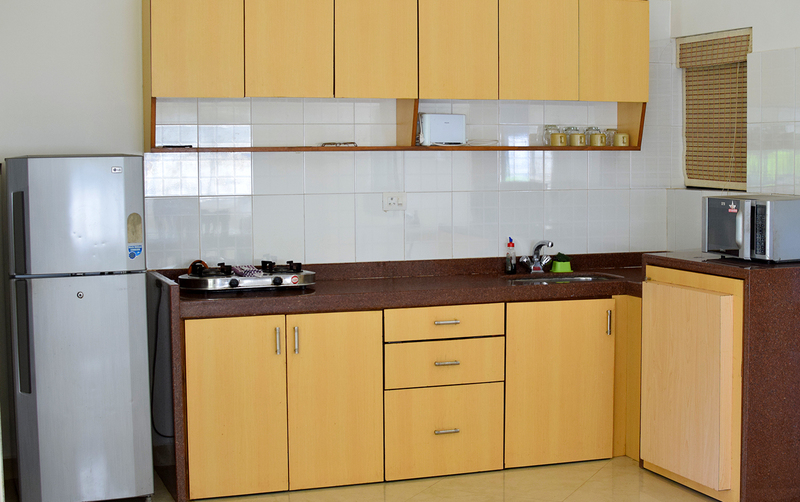 Besides the fully equipped ready to cook and service kitchen there is also a master kitchen at the property. This is open from break fast to dinner. The property is within walking distance of the Sunburn venue at Hill Top. 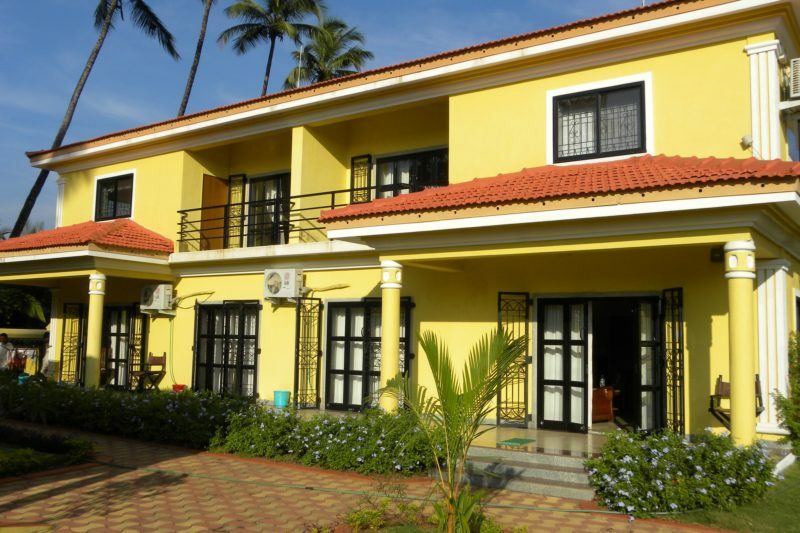 In addition the Vagator beach is also a 10 minutes walk from the apartments. Supermarkets, grocery and liquor stores are also within a five minutes walking distance from the apartments. The famous Chapora fort is also a short drive way from the apartments. 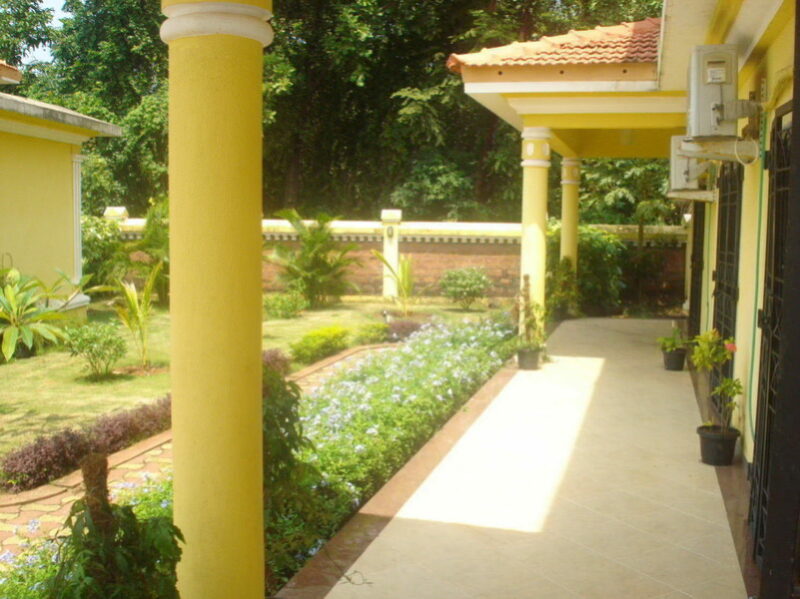 This one bedroom apartment of Goa Casitas for rent at Vagator is at the ground level. It comes with fully equipped kitchen. Besides this it also offers a spacious living and dining area. Above all it also offers a garden-facing private sit-out. 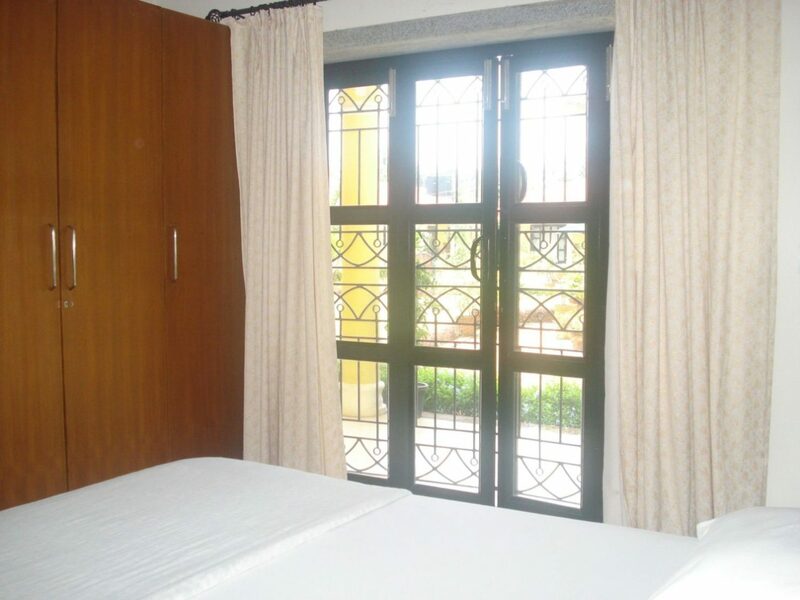 This one bedroom apartment of Goa Casitas for rent at Vagator is at the first level. It also comes with fully equipped kitchen. Besides this it also offers a spacious living and dining area. Above all it also offers a private balcony which offers an excellent view of the pool side and the neighbourhood.